And so it was pure serendipity that we stumbled upon the real British brand, Dorset Cereals, made in the small English village of Poundbury, now sold at Whole Foods. My husband decided to give the “Fruit, Nut and Fibre” one a try, despite the ridiculously steep $7 price tag. Made with flame raisins and dates, sunflower seeds, toasted coconut and chopped roasted hazelnuts, it’s wholesome, without being overly sweet. Exactly what British muesli should taste like. I should add that box is also British-sized (rather than super-sized) so only yields five bowls, which is also refreshing. 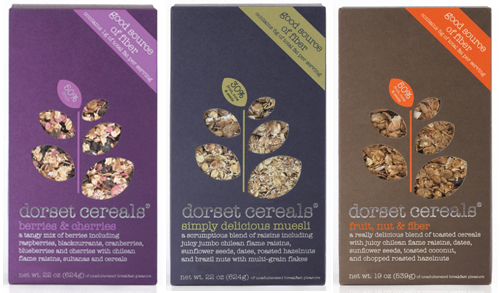 Posted on 3, September 2012, in Food and tagged British, Dorset Cereals, granola, muesli. Bookmark the permalink. Leave a comment.